Experience warm hospitality and a great location when you stay at the Homewood Suites by Hilton® Nashville at Vanderbilt University Downtown. Our all-suite Nashville hotel offers easy access to nearby activities and we offer a complimentary shuttle service to local attractions and entertainment options. Explore the shops, restaurants and clubs of vibrant downtown Nashville, take in a concert at the iconic Ryman Auditorium - best known as the most famous former home of the Grand Ole Opry and visit the Country Music Hall of Fame and Museum. Feel at home in a spacious studio, one or two bedroom suite at this extended stay hotel in Nashville, offering a fully equipped kitchen and complimentary internet access. 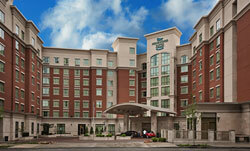 Start each morning of your stay with a complimentary hot full breakfast. Work out with the very latest equipment in the complimentary fitness center or relax with a dip in the indoor swimming pool. 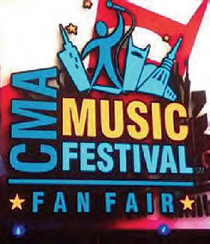 FEATURES: 4 Nights hotel & tax in a Studio Suite; 4 day Shuttle that operates in Downtown Nashville in and around the Festival area, 4 day CMA Festival ticket including: Admission tickets at Nissan Stadium to see top stars for 4 nights of concerts (package rates are based on the various seating areas shown below), Daily Concerts at Riverfront Park, Chevy Music Stage (Music & interactive displays), Meet the Stars (Autographs & photos), Fun Zone (Exhibits & giveaways), Family Zone (Wholesome fun, arts & crafts), Parade & Block Party (Rockin' downtown party). Kids Rates: Kids are free in same room with parents under 18 years of age. ABOUT THE FESTIVAL: The unique relationship between country music artists and their fans is a centerpiece of the Country Music Festival. Experience more than 70 hours of live music performances and celebrities - all at country music's biggest annual party! Appeared over the last few years: Reba McIntire, Lady Antebellum, Sugarland, Trace Adkins, Juliane Hough, Miranda Lambert, Dierks Bentley, Brooks & Dunn, Montgomery Gentry, Brad Paisley, John Rich, Taylor Swift, Rascal Flatts, Keith Urban, Jason Aldean, Blake Sheldon, Jamey Johnson, Jake Owen, The Band Perry, Little Big Town, Martina McBride, Darius Rucker and more!